My first conference finished yesterday. Oliver patiently sat through two long days of conference talks so his reward is free time together for the next few days until we head to Amsterdam and Rotterdam. Last night, after the conference, Oliver ate pizza with members of my team, including Misia and Rochelle. I had dinner with our hosts from Con Amore and the other keynotes at a famous Aarhus restaurant called Det Glade Vanvid. It means “the happy madness”. The restaurant is right next to the harbour with lovely views. There is only one sitting per night and everyone is served a set menu of the fanciest, finest little dishes. I can hardly describe the food because it was so intricate, complex and beautiful. Before each course, a waiter “presents” each dish, which involves describing all the ingredients and how it is made. Licorice seemed a dominant flavour. It reminded me of the food you see on Masterchef, but 1000 times more edible I am sure! This morning Oliver and I strolled the streets of Aarhus. 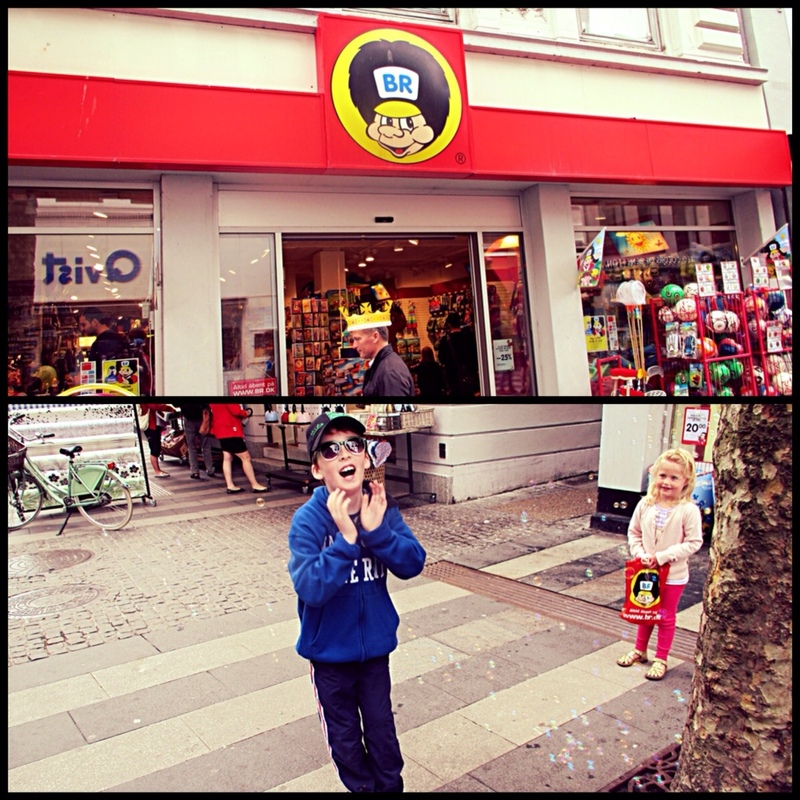 We stopped by a toy shop, which had bubble blowers covering the street in bubbles. Oliver enjoyed that; jumping around in a way that seemed to amuse, maybe shock, more well behaved passersby. 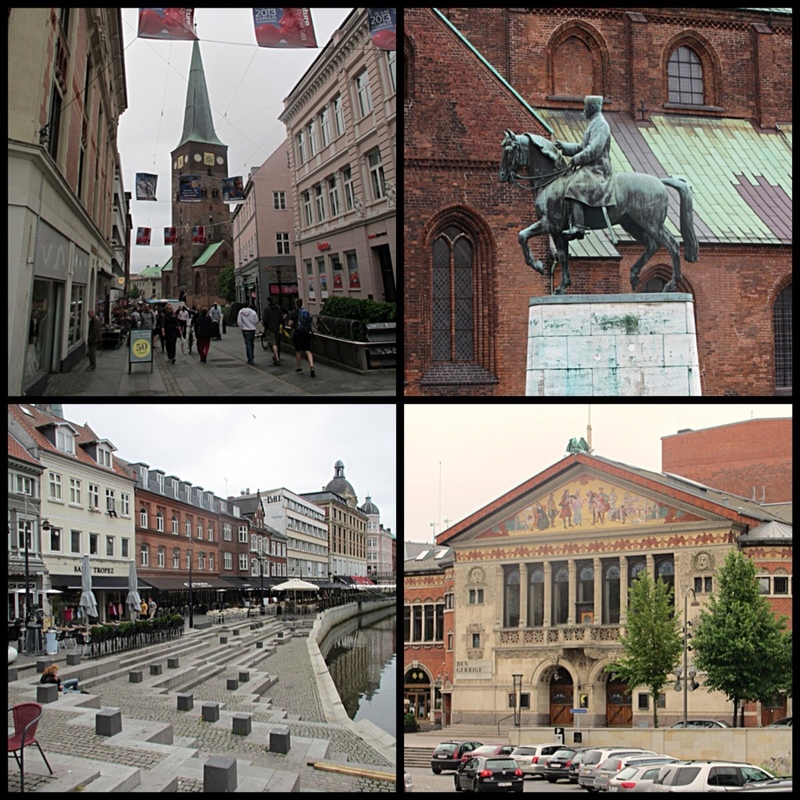 We then strolled on, down to the Aarhus Cathedral (Aarhus Domkirke in Danish), which dates from the 12th century, and the Art Nouveau Aarhus Theatre (Aarhus Teater in Danish), built in the late 19th century. Beautiful old buildings in a large square. The streets are made of cobblestones and apart from slightly treacherous walking, very picturesque. Although the summer solstice passed yesterday, and it stays light here until very late, it is cool and showery. About 15 or 16 degrees this morning. I am glad that Oliver and I packed warm clothes for this trip. 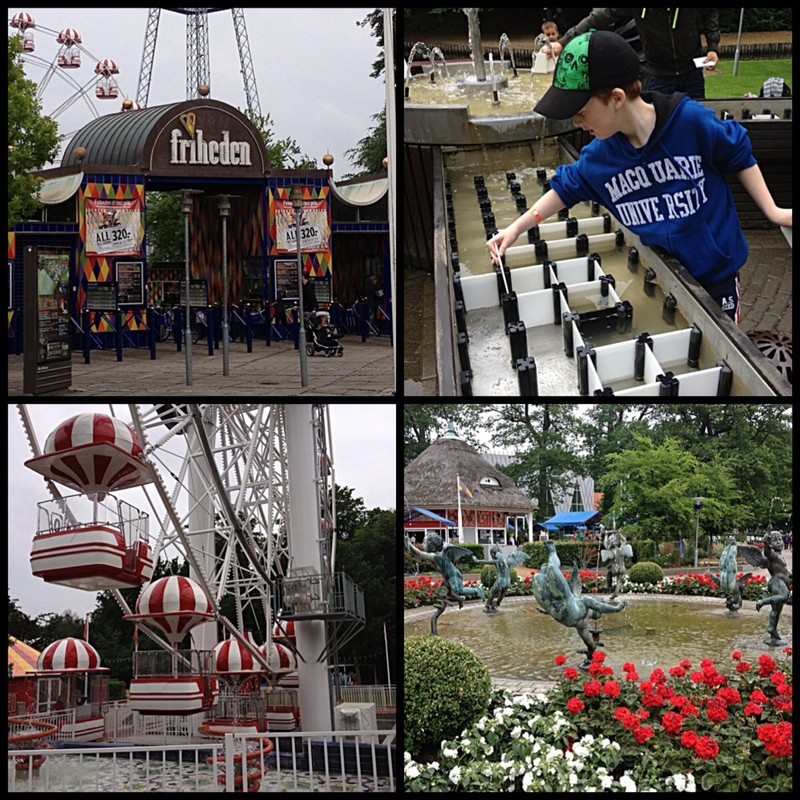 This afternoon we caught a bus to Tivoli Friheden amusement park, a cross between Sydney's Luna Park and Botanical Gardens, which is just outside the city centre. Apparently locals have been picnicing in the woods here since 1903 and so over the decades formal gardens, pavilions, rides and other attractions were added. 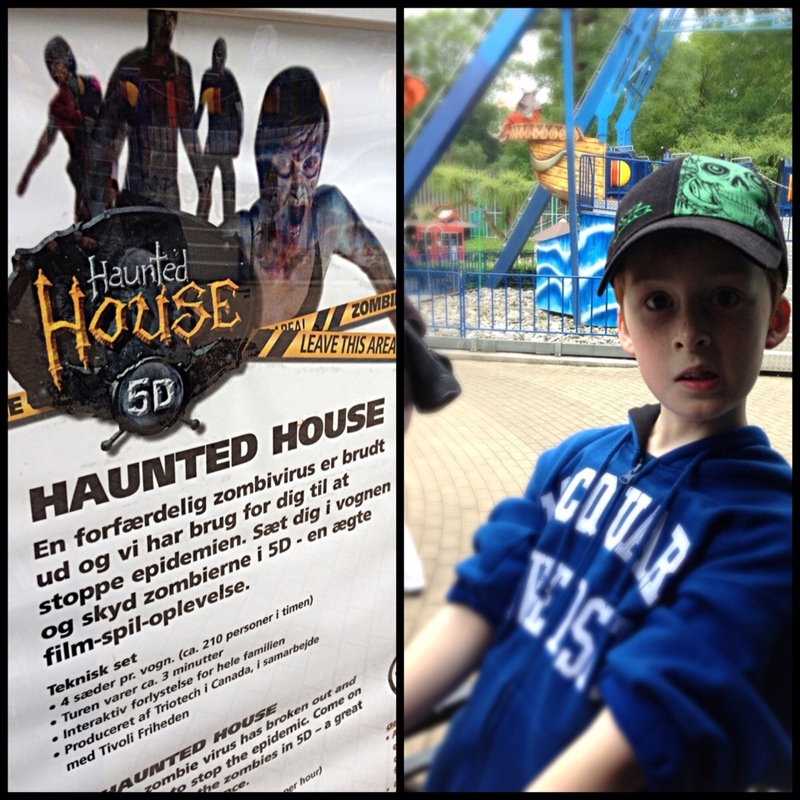 Oliver set the itinerary for the afternoon and we “rode” two “5D” games/rides: a Western/robot themed one and a haunted house/zombie themed one. The idea is to ride through either a virtual world or a physical (haunted house) world and shoot at things with laser guns. Sort of like souped up XBox games. Oliver loved them. 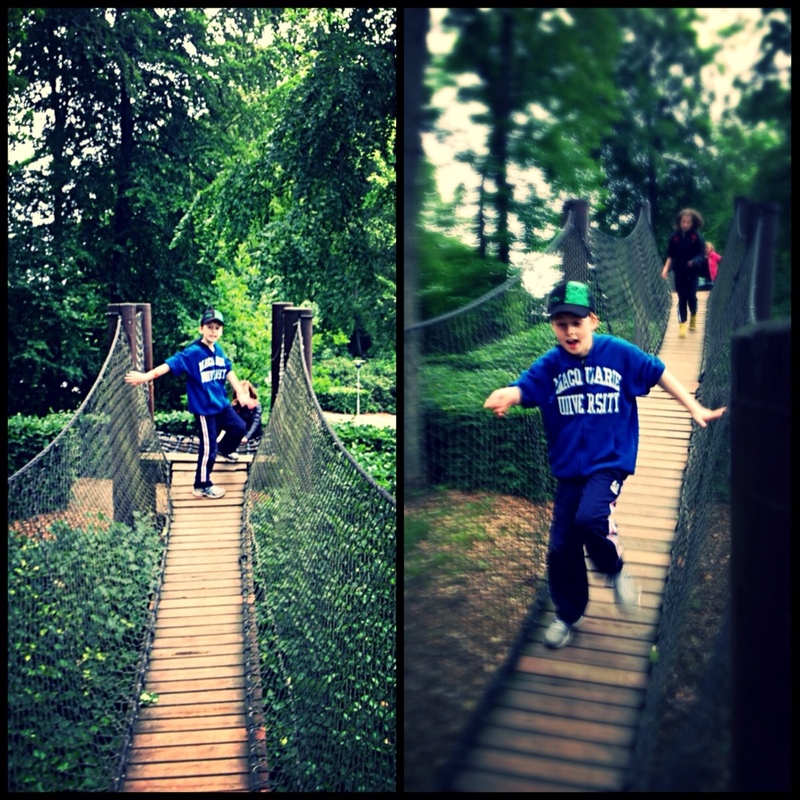 We also played a game of laser tag, rode dodgem cars, ran through an adventure course, had fun with water play, and strolled through the gardens. The park was not at all crowded, perhaps because of some light, intermittent showers. The Danes remind me of the English in their acceptance of rain and outdoor activities. Just carry on and wait for the rain to let up. Australians, I think, would wait for a sunny day knowing that one would come soon enough. 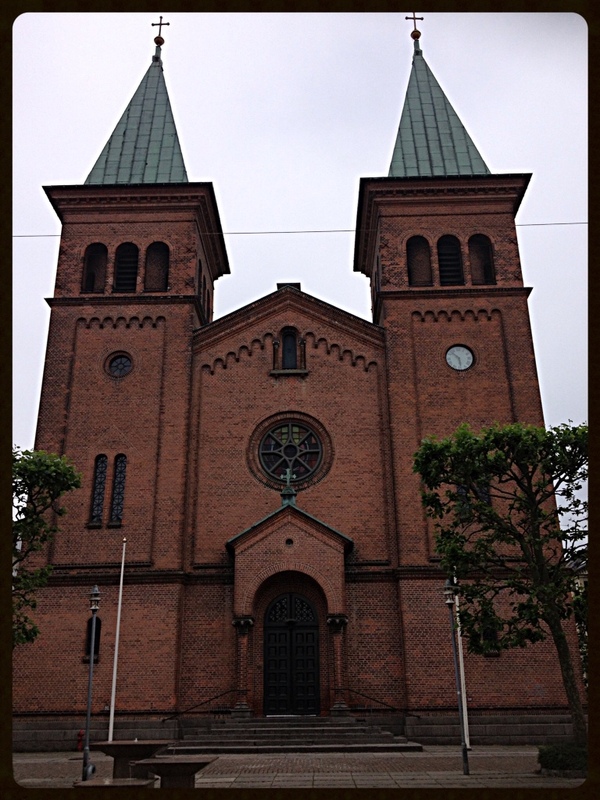 Oliver and I walked back to our hotel from Friheden and came across yet another beautiful church: the Neo-Romanesque Saint Paul's Church (or Sankt Pauls Kirke in Danish), completed in 1887. Church bells toll day and night in Aarhus. Oliver at first thought he could still hear Big Ben from London! Aarhus is a beautiful city and its inhabitants strike me as very content, quite affluent, well dressed and very healthy. Bikes are everywhere and lots of people seem to ride. But Oliver and I noticed that lots of people smoke. Many more than you seem to come across in Sydney. This seems slightly inconsistent with the healthy vibe but perhaps is a European thing. Tomorrow or Monday we are aiming to visit Legoland. We will when our legs and feet stop hurting from all the walking. 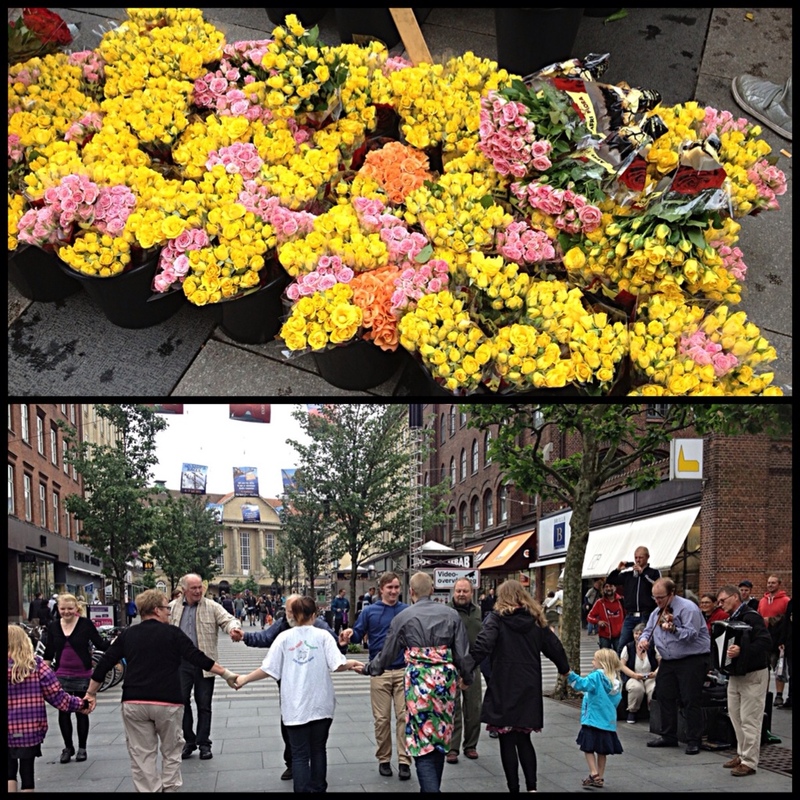 This entry was posted in In Aarhus, Out and about on June 23, 2013 by Amanda Barnier.